GDPR made privacy a board matter, with potential fines of €20m euros or 4% of global turnover, delays as customers and investors asked about GDPR readiness, and heightened anxiety with the increase in huge data breaches. But nearly 1 year on, many of the public and private organisations that are addressing GDPR still muddle through with spreadsheets and the post-GDPR honeymoon is rapidly closing for those organisations that are not addressing GDPR. Adopting a cloud-based GDPR-compliance platform is the perfect solution for all organisations, public or private, large or small. Keepabl’s founder was General Counsel of mid-market organisations for over 13 years, implementing compliance programs that the business could accept and follow, while ensuring compliance with complex regulations. We recognise that GDPR is typically not looked after by a privacy professional but by HR, Marketing or IT. And that it’s just one task on your desk. You need something to help you get the job done with confidence as quickly and simply as possible and preferably with gamification making it – dare we say – a bit fun. 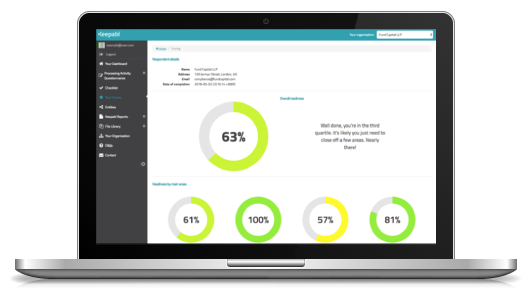 Keepabl lets you quickly get to grips with GDPR, and demonstrate your compliance status to others. Our founder and CEO, Robert Baugh, has over 13 years’ experience as General Counsel, EVP and director of VC-backed, international growth companies. Robert is an expert in translating regulations into practical and achievable compliance programs that are quick and easy for busy sales and engineering teams to adopt. He now leads the team at Keepabl, setting the vision for the company, and ensuring the product stays focussed on delivering the benefits and value our customers need. 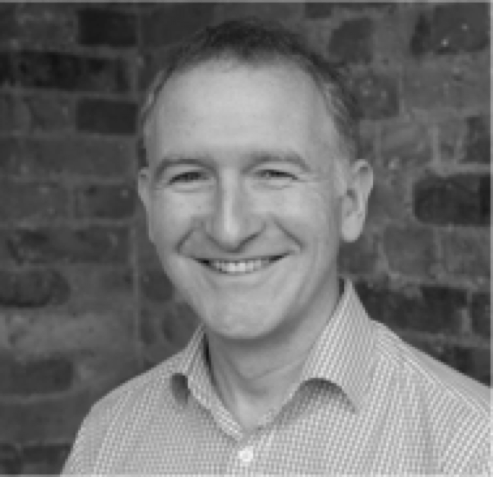 After reading Engineering, Economics & Management at Oxford University, Robert worked as an international TMT lawyer in City law firms in London, Hong Kong and Melbourne, before becoming part of the senior management team at LoopUp (LON: LOOP). Shortlisted for ‘In-House Lawyer of the Year’, Law Society Excellence Awards in 2009 and 2014, Robert helped take LoopUp from 7 people to over 100 in 4 countries and an IPO in London, UK, before being headhunted to join Drayson Technologies (LON:SENS) as Director & General Counsel and going on to found Keepabl. Keepabl was designed from the ground up to allow and empower our customers’ trusted advisers – their consultants, MSPs and lawyers – to continue delivering their trusted advice, enabled by Keepabl’s technology platform and expert products and services. Advisers can switch between customer’s accounts and customers can determine who gets to see what in the service – it is the customer’s data after all. Need a policy pack to work on together? Keepabl’s Policy Pack has helped businesses from healthcare to private equity, technology to financial advisory. If you’re a customer looking for privacy and security technology to help collaborate with your adviser, or an adviser looking for technology to turbocharge your privacy and security advice to your customers, contact us now and arrange a demo to see how Keepabl can help you.